Sanborn maps were created in 1867 to help fire insurance agents. Now, they're some of the most useful documents for preservationists. 1. Don't forget about recent history. While you can't deny how fun it is to find the name of your house's original owner, don't forget about the history of the house in the past 20 or 30 years. Visiting your city or county's GIS database is a great resource. You will be able to find the latest deed book or plate book page, recent sale prices, and information on if your house was altered. 2. Visit the office of your local Registrar Mesne Conveyance (RMC). Here you can find records like deeds, titles, probate records, and wills that will give you information as to when your house was built and who owned it throughout its history, as well as how the house changed ownership over the years. Additionally, they could also have plat records. These are typically official drawings with a description that explains the boundary lines of a property as well as roads and structures. Finding plats that show the land your house is on is a great way to determine the original boundaries of the lot and if that changed (and when). Call your local government office to find out if they have an RMC and when visiting hours are. They welcome researchers—it’s what all that microfilm is there for anyway! 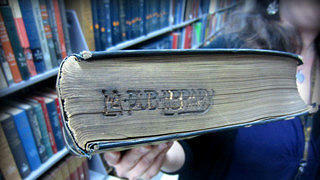 A librarian or archivist can assist you in finding the bound volumes that will include documents like deeds and wills. 3. Know how titles, deeds, probate records, and wills can help you. If visiting the RMC and delving into 19th-century handwritten documents filled with legal terminology sounds daunting, it doesn’t have to be. It varies slightly from city to city, but typically documents like deeds, titles, and mortgages are collected in bound volumes or transferred onto microfilm chronologically. It’s best to work backwards—find the most recent title or deed (prior to you, of course), and keep moving backwards until there aren’t any records. The language won’t change too much. The most difficult thing may be reading the handwriting (especially dates). But it does get easier with practice! Invest in a good book or two on architectural terminology and preservation law. This might not seem like a glamorous task, but it will save you time and make your search less stressful if you have a great reference book that clearly explains what words like "conveyance," "grantor," "grantee," and "plat" mean. Check out this list of 14 essential preservation books to get started. 5. Sanborn maps are a huge help, once you know how to decipher them. 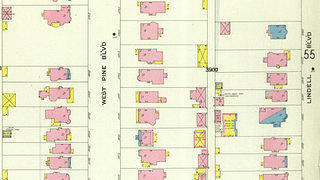 Sanborn maps were developed in the 19th century as a way for determining fire insurance. Today, you can find Sanborn maps at your local library archives or RMC. If you’d prefer to research at home, the Library of Congress digitized in 2017 25,000 sheets from 3,000 cities that you can access from your computer. You can gain a wealth of information from a standard Sanborn map. Each overlay tells a specific fact. For instance, you’ll notice that every building has a number on it. That indicates the number of stories. Likewise, if a building has a small circle, that indicates that the roof is made of a material that is flame-retardant, like slate. If the building is colored yellow, it’s probably made of wood. The maps contain a legend that explains all of the symbols and colors. In no time at all, you’ll be able to take a quick glance and know what the map is trying to convey. Historic photos (whether taken for official purposes, like HABS, or for unofficial reasons), offer visual clues as to how your house has evolved. 6. 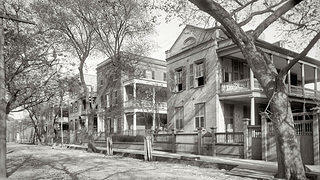 Talk with your local preservation society or historical society. This should happen once you track down a chain of title and have the names of previous owners. Preservation and historical societies often will have their own archives that could include maps and photographs. You may even be able to find personal collections from the owners of your house that could tell you more about how your house evolved from a personal perspective. 7. Take advantage of online databases. Libraries and archives more often than not have subscriptions to an online database or two that contain thousands of historic newspapers. These are great if you’re trying to find more about your neighborhood’s history. If a past owner or inhabitant in your house was a prominent figure, you may be able to find out more about them through the local papers. Finding out who lived in your historic house is exciting and satisfying, especially when you know what resources you need and how to use them. Once you have a complete history, consider if it's worth listing your house on the local historical register or the National Register. We've got plenty of toolkits to help you with that next step.